Decorate and protect your cat or dog. The kerchief Pet Collar was designed to look good on your pet as well as help protect it from accidents. 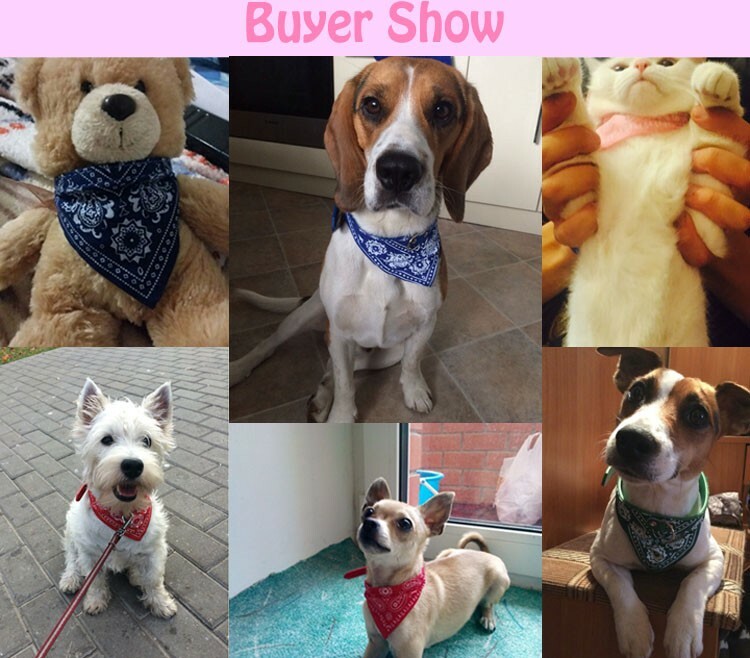 The bright kerchief colors and reflective white patterns will help make your pet more visible from a distance, therefore helping protect it from accidents and other visibility hazards indoor and outdoor. Isn't it great having a collar that gives your pet style while helping to keep them out of harm's way? Protective: Colours and pattern of the collar help protect your pet.